As far as the historic performances, have some more confidence in Francisco Liriano and Yovani Gallardo, they are good pitchers off to bad starts. 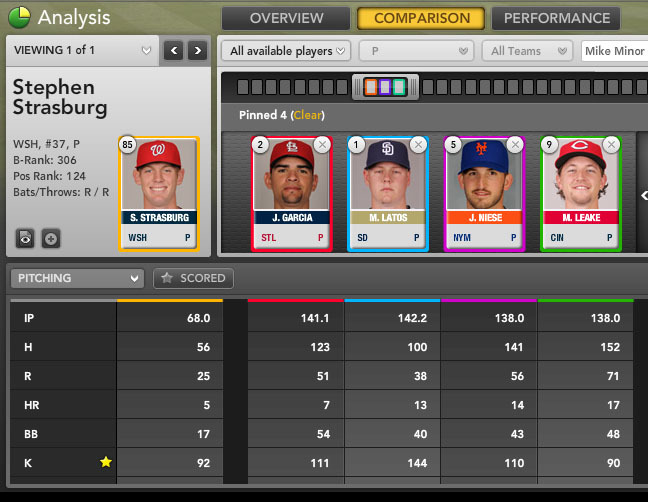 Justin Verlander is an absolute star and that’s why he was often my top pitcher in fantasy drafts. 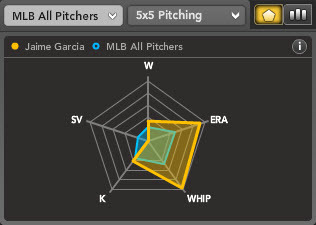 Is Jaime Garcia the Cardinals New (Under)Ground Pitcher? young player is exhibiting skills carried over from the minor leagues. One young pitcher hoping to continue his small sample size success is Jaime Garcia of the St. Louis Cardinals. situation he is in with the Cardinals. surrender a single, and never go for a home run. the majors. We recently profiled Duncan’s effect on Brad Penny. of home runs given up over the course of the year. regressed slightly at the highest level, but nothing considered drastic. Garcia is a much better choice than Livan Hernandez. free to add Garcia right now in deeper mixed league or NL-only formats. For more on Jaime Garcia and young players off to hot starts check out Bloomberg Sports’ fantasy kits.